Marilyn Cornwell Blog: What's Your This or That? What's Your This or That? Need some more entertainment? Can you imagine that question today? We are avalanched with entertainment. Suffocating in a sandpile a mile high of grains of entertainment sand. OK. Here is a simple game: This or That Questions List. A game from the past, but this one online has a noticeable number of tech choices. These seem inconsequential to me. Netflix or YouTube is an example. Or Facebook vs Twitter. What is the personality preference or identity statement is there in these choices? "Tribalism around tech decisions still exists, but feels less and less relevant. Even if your colleagues swear by Windows and you use Mac, chances are you’ll all be working on the same Google Sheet through a web browser. Tech’s maturation in the third millennium has been a force of flattening technological nuance to a point where pretty much everything can do the same things in mostly the same way. So the devices we carry and use for so much of every day end up looking basically the same too." "This increasingly strikes me as peculiar given the other objects we engage with daily. People’s clothes carry a mark of themselves. Their vehicles — from bicycles to Teslas — say something about them. And it’s rare to go to someone else’s house to find an identical print or poster hanging from their wall as the one’s you’ve got at home. When we all clearly have our own tastes and desires to manifest our identities through them, why are we all buying the same tech and using it in the same way?" This is the landscape of the questions today. And our image? 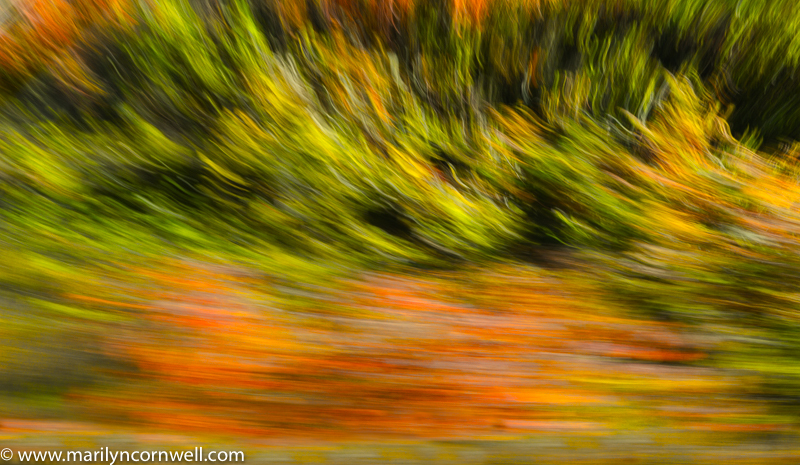 Autumn Sumac gives the colour to this motion blur image.